Andorians are blue-skinned humanoids with white hair.Their slim builds conceal the well-muscled bodies of warriors. They have a pair of knobbed antennae extending from the sides of the crown of the head. These "antennae'' are actually extensions of their sinus cavities, giving the Andorians a great sensitivity to minute variations in pressure and temperature. They have an elevated aural sensitivity and an enormously enhanced sense of smell. The actual receptors are situated within the depressions at the tips of the ``antennae'' and are protected by the hard cartilaginous tissue that keeps the ``antennae'' rigid. Their visual acuity is also well above human standards. Andorians are somewhat thinner than most humans, but weigh equivalently, and are somewhat faster in movement and reaction time. Andorian history is one of conflict, though they do not battle without reason. The martial spirit is still alive in Andorian culture. Andorians are extremely disciplined, possessing a strong sense of duty and personal honor, and so they make excellent military officers. Though they are stoic and largely unsentimental, they do respect and revere family ties. Andorians are fond of technology, but they insist on its use with respect for nature. For this reason, their early wars of conquest were fought with a regard for planetary environment, and so the Andorians avoided much of the ecological devastation suffered by Terran Humans and many other cultures. Andorians are a hard-working and serious folk, who are often but incorrectly viewed as humorless and irritable. In fact, Andorians have a complex set of propositional ``grammars'' by which they express humor, and as such they do not tend to find human humor amusing, nor do non-Andorians tend to ``get'' their humor. 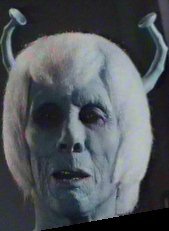 As to the irritability, the harsh history of early Andorian civilization has left a strong taboo against the appearance of frivolity or wasted effort. Andorians are hard working and often feel uncomfortable when invited to pursue purely recreational activities or pastimes. Their curt refusals often make them seem prudish or unsociable, while in fact they simply don't have a strong cultural pragmatism for engaging in such activities. Andorians are also reluctant to enter into strong personal relationships, another left over trait from their troubled past. This lack of a social skill so common in almost all other Federation races simply reinforces the sense of isolation and distance that others perceive between an Andorian and themselves. Andorian culture is predicated on the Cooperative. A Cooperative these days is a group of 60 to 100 families who have banded together to pool their resources and abilities to provide for the whole of their number. Cooperatives tend to grow around single lines of endeavor or related centers. As a young Andorian reaches his age of majority, he can either choose to remain with his own cooperative or seek to join another cooperative and establish a family line there. Some Andorians spend their early years alone, wandering from one city cluster to another, unable to decide on a Cooperative venture. These ``wayfarers'' are unpopular within normal Andorian society and often tend to be attracted to anti-social Cooperatives, roving bands of ruffians and malcontents who roam the countryside. Andorian culture is divided into the ``Coastal'' and the ``Inland'' races. Those who live in coastal cities constitute about 60% of the total population, and have been the centers of technological development. The inland plains are home to semi-nomadic inland Cooperatives, who even today remain devoted to their ancient heritage. These cultural groups have minimal contact at this point,with increasing disdain on both sides. Andorian society is still balkanized into a large number of governments. The Supreme Cooperative is a Mega-Cooperative dedicated to representing the Andorians to the Federation. However, it only represents about 30% of the Andorian population in any meaningful way. Like almost all Cooperatives, it is a mercantile effort, and while ethical and truthful in its dealings, it is dedicated to turning a profit. Before four hundred years ago, the largest social structures were the multi-cooperative walled cities that dot the southern and western coasts of Andor's more temperate continent. It has only been in the last several centuries that the notion of a government has been developed. At the very beginnings of the Andorian Cooperative lifestyle was the Bond of the Words Unspoken, or the Khun-Haga, in which an individual pledged trust and service to the Tyk, in return for which the Tyk pledged the same to the individual. The Andorians understood that making this covenant a deep and binding extension of their thoughts and lives was the only thing that kept their fragile tribes safe and together, and being a stoic people, made it a point of honor to never speak to one another about the bond. No thanks were ever given for supporting the Tyk, and no explanations were ever offered to outsiders about the specific nature of the Tyk's unspoken bond. The only thing that was recognized by all was that the Khun-Haga was a force in Andorian life more powerful than the spectacular desert lightning, and herder to break than the rare and powerful bellium weapons forged by the first Delvers. ANDOR Andor is the home planet of ANDORIANS, called FESOAN in the Andorian language. Andor is a class M planet VIII out of nine in the Epsilon Indi system. It is a large, hot dry world with little surface water, and a gravity of 0.9g. There are, however, vast underground reserves that feed surface geysers heated by geothermal energy. Oases surrounding these geysers are the centers of the planet's main population areas, since the great majority of Andor's plant life thrives where subsurface water is plentiful located in the system Epsilon Indi, with a thinner atmosphere than Earth, but with a cold climate. The population is actually around 21 milliard people. The planet circumpherence is about 56.500 Km. Andor has three moon orbiting around. The following images are from the Star Trek Original Series Episode "JOURNEY TO BABEL"
A complete database of all TOS races !! !